Every trip I take I am inspired and awed by the talented, diverse musicians I meet. And every time I come back, I think I just took the best trip ever. This time, I mean it! Last week I returned from the island of Oahu, Hawaii, where I attended events during Hawaii’s Mele Mei Festival, a celebration of Hawaiian music, hula, language, and culture. It culminates with the Hawaii Academy of Arts’ Nā Hōkū Hanohano Awards—like the Grammy awards for Hawaiian musicians. Although HARA members come from all genres of music, there is a very strong emphasis on Hawaiian music in the festival, and among the many festival performances. I discovered that there are some really amazing Hawaiian musicians that can do things on the ukulele that I never thought possible. Ukulele players Kalei Gamiao performs at a ukulele workshop. And the alternative tunings of slack key guitar, another Hawaiian staple, give Hawaiian music its wonderful island flair. 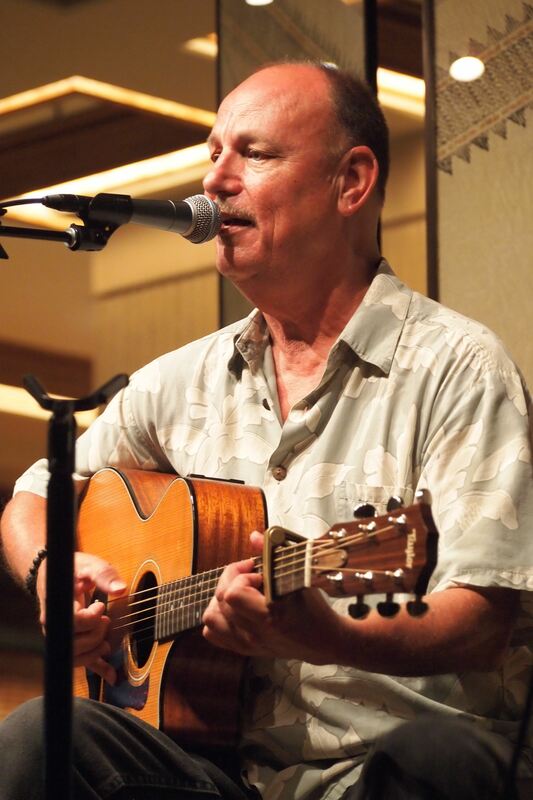 Hawaiian guitarist and songwriter Jerry Santos. 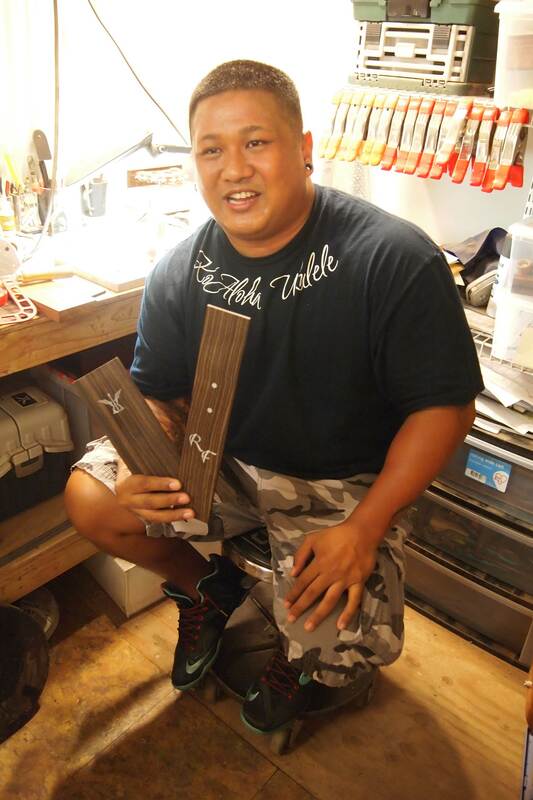 Musician and HARA Vice President Kuuipo Kumukahi. I was particularly honored to see and hear Cyril Pahinui perform on slack key guitar several times during my visit. 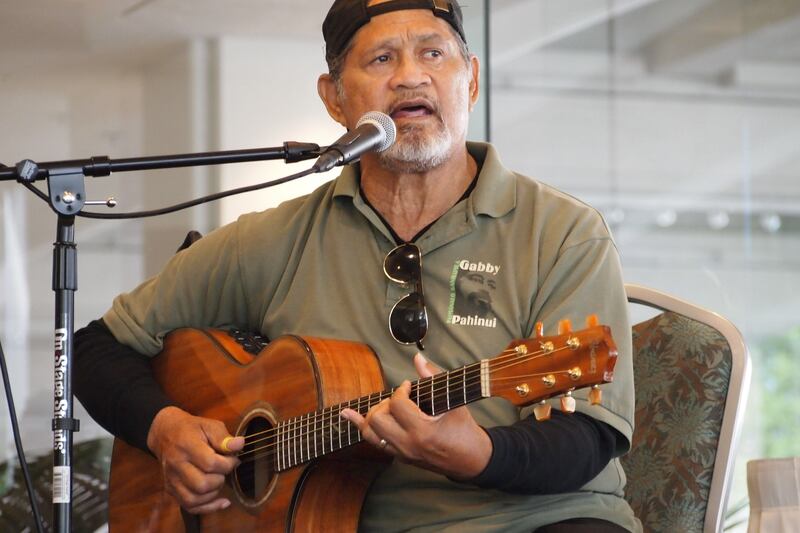 He was selected this year for a Nā Hōkū Lifetime Achievement award. 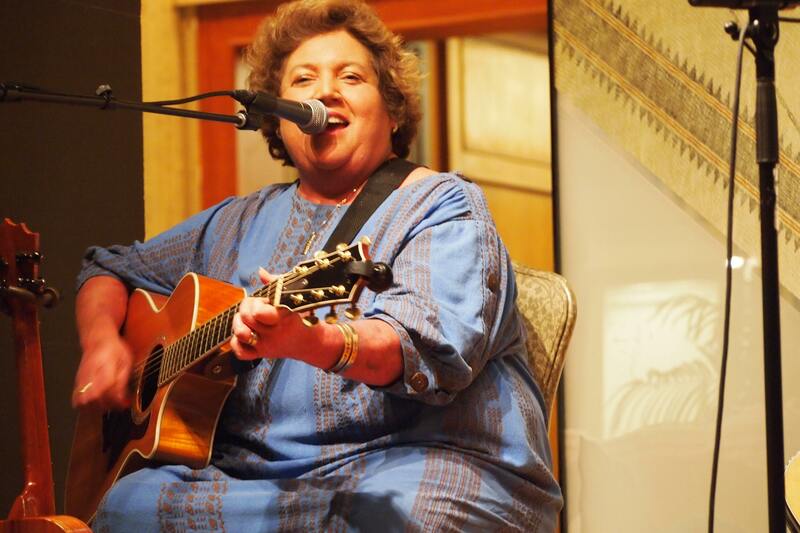 Soft spoken and gracious, Pahinui performs locally and internationally and teaches slack key music. 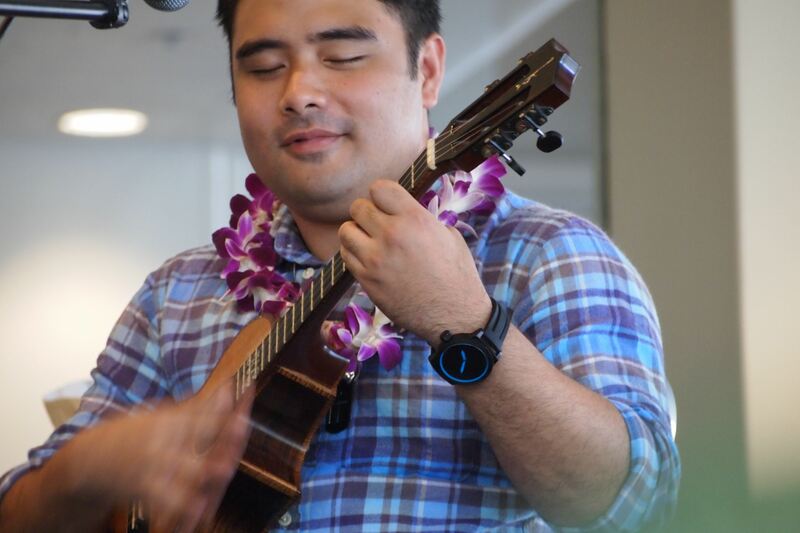 He’s eager to teach others about his craft and I was fortunate enough to attend a slack key guitar workshop he ran in conjunction with this year’s festival. Cyril Pahinui at a slack key guitar workshop. Cyril’s father, Gabby Pahinui, was seen as a central figure in the Renaissance of Hawaiian music during the 1970s. 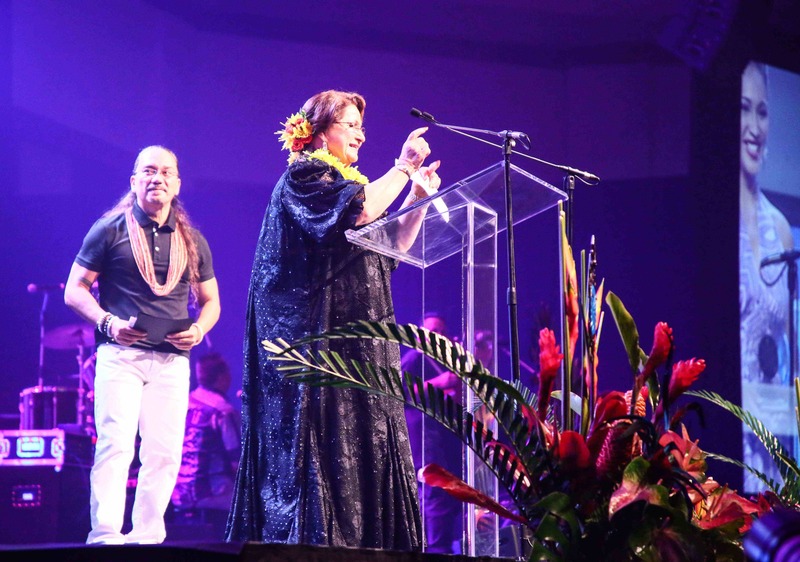 It is Gabby that the late Israel “Iz” Kamakawiwo’ole references in the opening line of his recording of “Somewhere Over the Rainbow/What a Wonderful World,” when he says “Kay, dis one’s fo’ Gabby.” Kamakawiwo’ole was also honored with a Lifetime Achievement award this year. 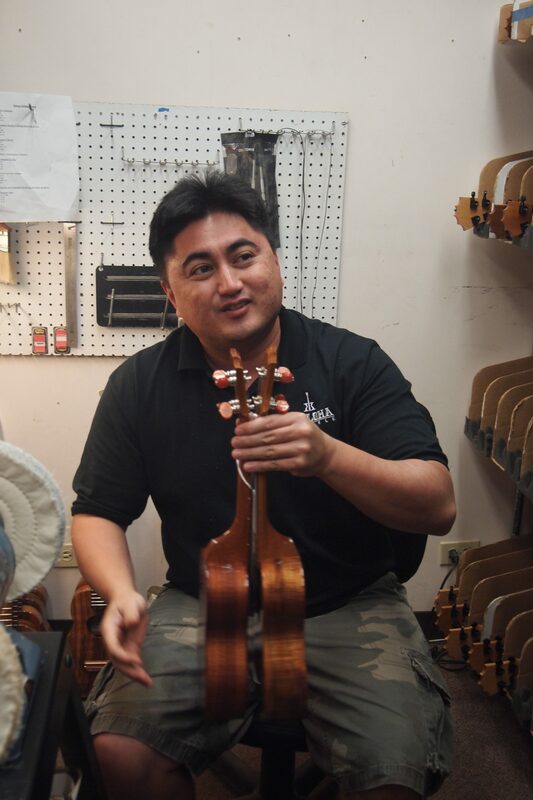 Music was everywhere on Oahu! There were guitar and ukulele players all along the beach sharing their music with passersby. Family ties are very strong in Hawaii and Hawaiians are dedicated to passing down their music, language, and culture to young people. It was heartwarming to see families performing together, passing down generations-old songs, knowledge, and skills. 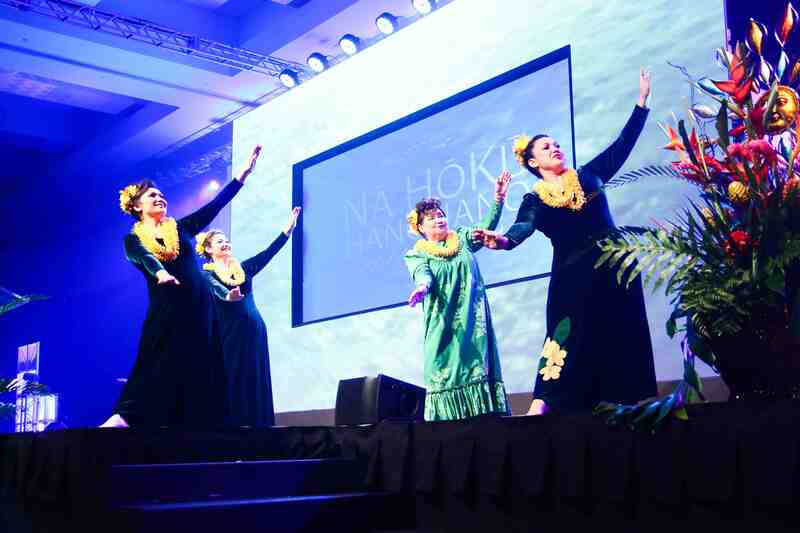 I was touched at the Hōkū Awards when the performer Hulu Lindsey won vocalist of the year for her album A He Leo Wale Nō E. Her daughter, Napua Grieg, had been nominated for the same award, but bowed out when she found out her mom had been nominated. Napua did take home the Christmas Album of the Year award for Lei Kulaia. 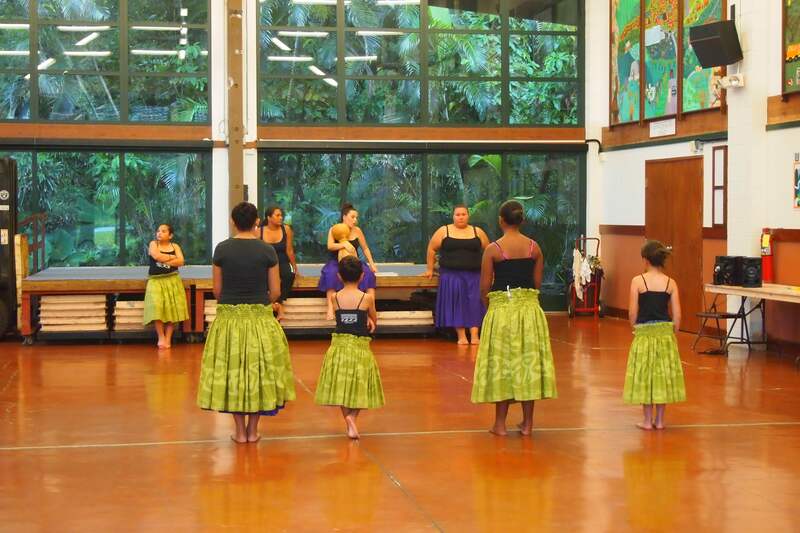 Family traditions run deep in all aspects of Hawaiian culture. 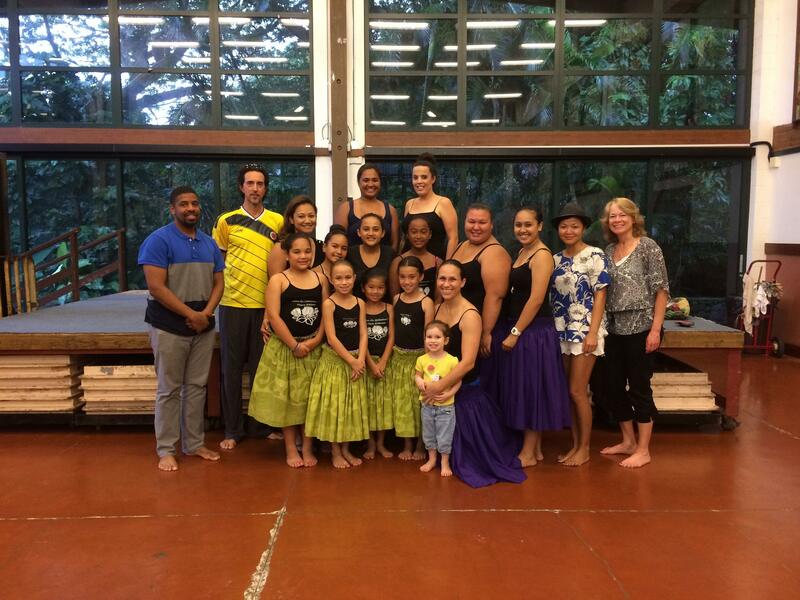 I was fortunate enough to be invited to watch a hula class run by Kau`i Dalire, who was taught by her mom, Kumu (teacher) Aloha Dalire. Both have held the title Miss Aloha Hula. 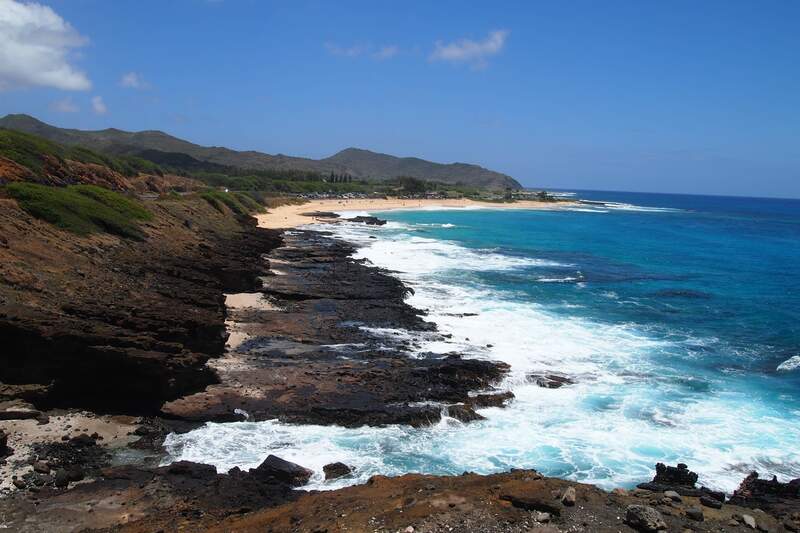 Kau`i’s sisters Kapua and Keola have also held the title. I had the rare honor of seeing all four dance together at the awards show. Kau`i runs halaus (hula schools) in Hawaii, Japan (Shibuya and Okinawa), California, and Arizona, where she teaches family values, discipline, and dedication, alongside the traditional dance. Kau`i Dalire says hulu isn’t just a hobby, it’s a lifestyle. 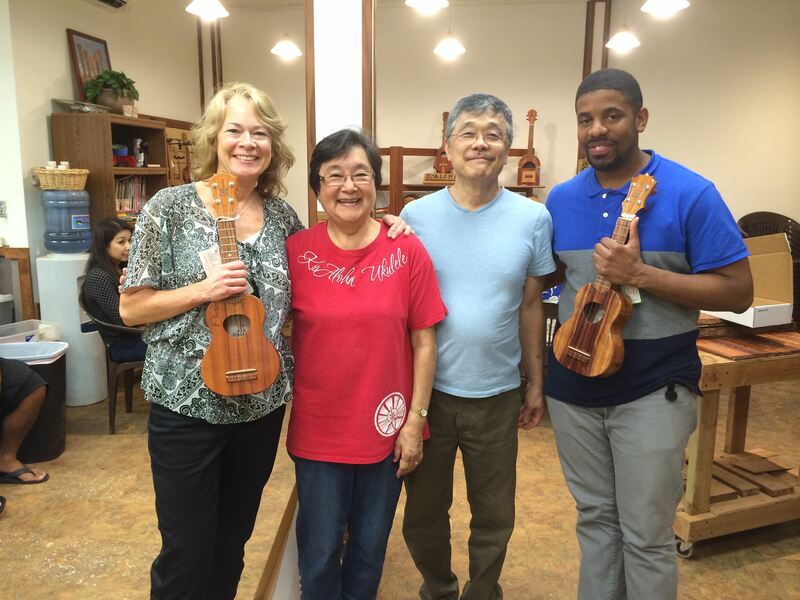 Another amazing opportunity on this trip was visiting the Okami family who build KoAloha ukuleles, which are played by many professional musicians in Hawaii and distributed in 12 countries around the world. 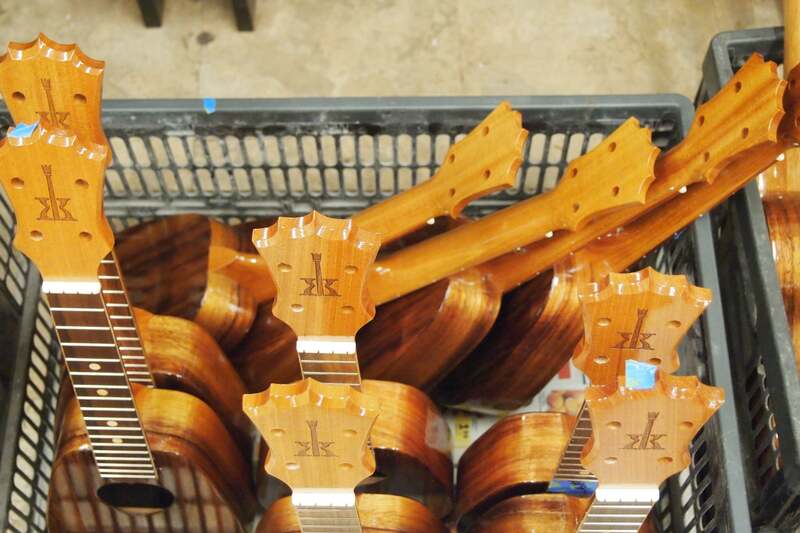 They gave us a tour and “talk story,” and we learned about the care and precision that goes into each instrument. Following the tour and lunch with the luthiers we had a chance to play some of the instruments. The 100% koa instruments have a magical sound and I didn’t want to put it down. I was touched when they presented me with my very own—a souvenir I will always treasure, and play! 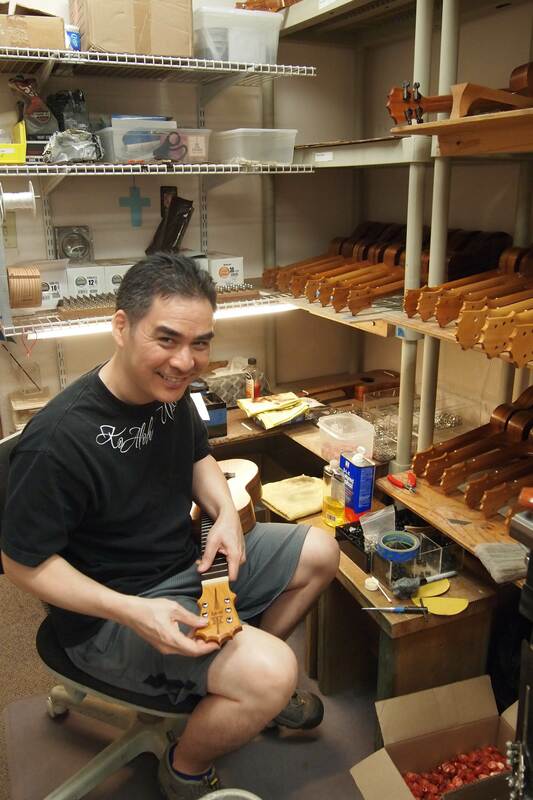 The Okami family is known for their tireless efforts in the community, as well as for their “Ukulele Build” in impoverished areas of Hawaii. The inspiring story of how the brilliant musician/composer/inventor Alvin Okami built the company is as touching as it is amazing, and is the subject of an award-winning DVD. Of course, the highlight of my trip to Hawaii was the Nā Hōkū Hanohano Awards. This amazing program with a wide variety of music from Hawaiian artists is open to the public and tickets are reasonably priced from $150 to $200, which includes a wonderful dinner. No wonder they sell out several weeks before the show. 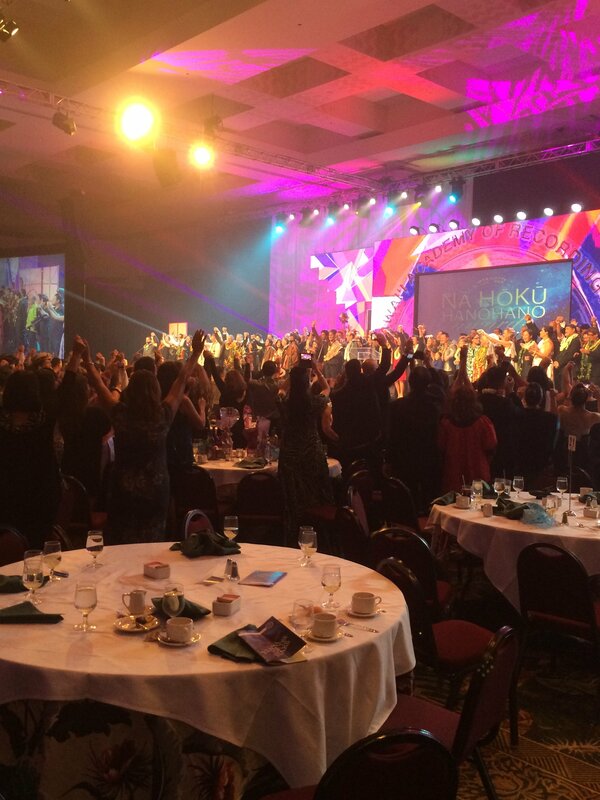 At the end of the awards show all of the performers took the stage for a final celebration of Hawaiian music. If you are thinking about a trip to Hawaii, May is an excellent time to visit and experience Hawaiian music during the Mele Mei Festival.